I have finally found the love of my life. relax and join me on this story of TRUE LOVE. ed this Sunday when I went on a photo shoot with the fabulous photographer Matty Rock. Since it was freezing, Matty Rock suggested that I pick up a hat. He is a fan of hats and I just shrugged him off saying, "Oh, I've never worn a hat"
How silly of me not to let the hat into my heart! We walked over to a street vendor as Matt persuaded me to "just take a look". And then, it happened. 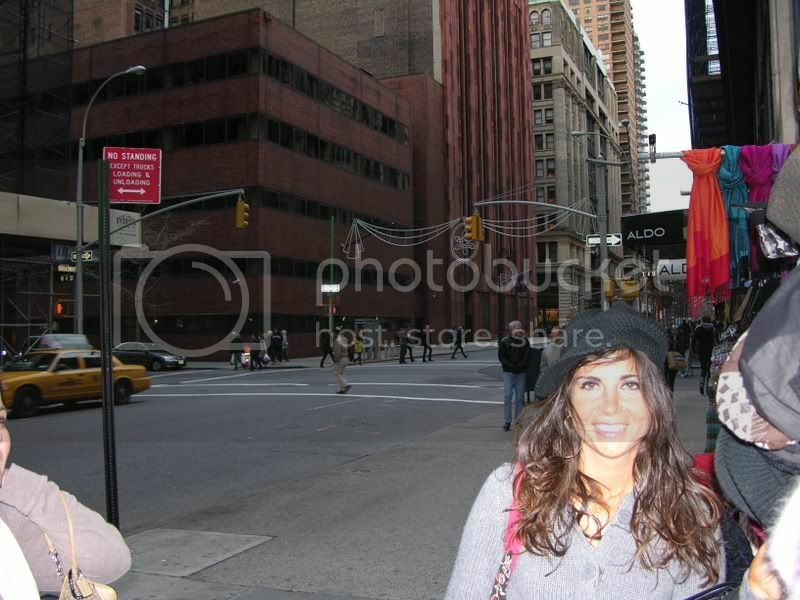 It felt like an angel came down and the city stopped as I locked eyes with...the HAT. What a match maker Matt is. Love at first sight some might say but I have a feeling this was destiny. I even bargained down two dollars off this hat from the street vendor. If that's not fate I don't know what is! And, of course, the man responsible for bringing me to my hat..Matt. He is rocking his hat as well. The entire rest of the day I talked about the hat and was completely enthralled. My head was so warm too! How could I go for twenty two years without this hat?! section on www.myspace.com/lauracheadle. Go check them out! My new album is coming out soon! Stay tuned!